A mother who bought her then 15-year-old daughter abortion pills online is challenging a decision by the Public Prosecution Service in Northern Ireland to prosecute her. The ground-breaking case will focus attention on the criminalisation of abortion in Northern Ireland. It is the first time the Public Prosecution Service has been challenged on a decision relating to Northern Ireland’s restrictive abortion law. The case will be heard on Thursday 20 September at the Royal Courts of Justice in Belfast. The mother faces two charges of unlawfully procuring and supplying the abortion drugs, mifepristone and misoprostol, with intent to procure a miscarriage, contrary to the 1861 Offences Against the Person Act. If her challenge is unsuccessful, the mother faces a criminal trial and up to 10 years in prison. Take a stand for women’s rights in Northern Ireland here. Amnesty is an intervenor in the case and has been working closely with the mother and legal team to contest the prosecution, which Amnesty believes is a breach of both the mother’s and daughter’s rights. A Belfast judge who granted leave for the judicial review said the case raises “issues of considerable public importance and public debate”. “This ground-breaking case is a direct challenge to the criminalisation of women and abortion in Northern Ireland. “This is a mother who has been treated like a common criminal for helping her daughter source medication that is prescribed free on the NHS in every other part of the UK. 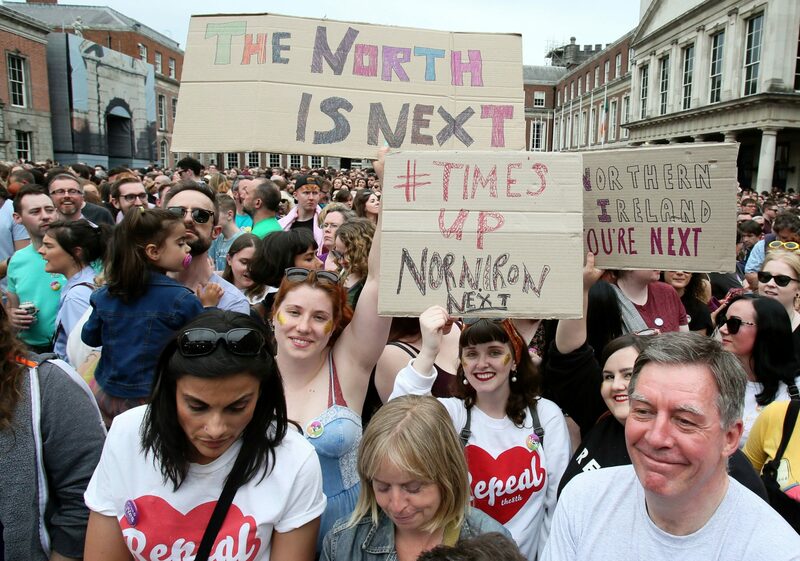 “Women in Northern Ireland are being hauled through the courts for trying to access abortion pills, whilst this often-vital service is rightly becoming more accessible for women in England. This is such obvious and cruel injustice. “We urge the judges to consider this case and its implications carefully, and listen to all of those who are calling for an end to this demeaning, harmful and unjust law. A woman – who cannot be named to ensure her daughter’s anonymity – is accused of two charges of unlawfully procuring and supplying abortion pills in 2013. 1. “unlawfully procured a poison or other noxious thing, namely mifepristone and misoprostal, knowing that the same was intended to be unlawfully used or employed with intent to procure a miscarriage of the second applicant”. 2. “unlawfully supplied a poison or other noxious thing, namely mifepristone and misoprostal, knowing that the same was intended to be unlawfully used or employed with intent to procure a miscarriage of the second applicant”. At the time, the daughter was in a physically and mentally abusive relationship. When she became pregnant, she sought her mother’s support and assistance to have an abortion, having decided she did not want to continue with the pregnancy. When the pregnancy was terminated, they went to their GP seeking counselling services to deal with issues around the relationship. During the appointment, they disclosed the use of the pills. After being referred for counselling services, the mother was later interviewed by the PSNI without a solicitor present. The mother was almost nine months pregnant and gave birth less than two weeks later. The PSNI gave the file to the Public Prosecution Service who then deemed it in the ‘public interest’ to prosecute the mother. Medicated abortion pills are internationally regarded as a safe and recommended option for terminating a pregnancy. Mifepristone and Misoprostol are on the list of essential medicines of the World Health Organisation. However, the criminalisation of abortion in Northern Ireland means that women and girls are forced to purchase these pills online, risking prosecution in doing so and taking these pills without medical supervision. The law in Northern Ireland dates back to 1861 and makes abortion illegal in almost every circumstance. An estimated 1,000 women travel every year to other parts of the UK for abortion services and many others go online to buy abortion pills.